"...there for you at every stage of the selling process!" "...they not only picked up the pieces, but created a masterpiece of my home." "...made what initially felt like a complex and daunting task feel much easier"
"...our third real estate transaction and never had we had such a pleasurable experience." Stephen and the team were fantastic to work with. From day 1 explaining the process to us, to closing and beyond, they offered exceptional service. Always responsive to messages, knowledgable about local areas, supportive and willing to answer our many questions, they made our house search and purchase significantly less stressful. My husband and I were first time home-buyers, not native to the Bay Area. Since we moved to San Jose just over 3 years ago, the though of purchasing a home in this area was overwhelming and we did not know where to begin. Stephen was recommended to us by a close friend and we are so grateful for that recommendation! Stephen sat down with us to explain the entire home-buying process from start to finish. He took the time to understand our needs and expertly incorporated those into our search. He was extremely responsive throughout the process. He consulted with us and helped us make the tough decisions. From the time we decided to make an offer, he had extremely quick turnaround and was very clear at each step of the process. There are so many steps, we can imagine it would be easy to get lost, which is why we are so happy that we had Stephen with us throughout. He made our first home-buying experience a dream! Gail and Stephen attention detail and guidance in selling our home of over forty years enabled us to have quick sale. Providing us with timelines and spreadsheets of the offers (pros and cons) made it easy to choose the best offer for us. We are a British couple who were buying for the first time in the US. Stephen, although he has been in the US for decades, was originally British. As such, he was ideally placed to help us. He had a good grasp of what we wanted from a home and was able to point us to neighbourhoods that would suit us. He set up searches for us and modified them as we changed our minds about places and prices. It is interesting that we ended up in a house (that we are delighted with) in one of the first neighbourhoods that Stephen suggested to us. Stephen explained the buying process to us. And when it came to the time that we were making offers and signing documents, he came out in the evenings because my husband couldn’t get to day time meetings. Our house required tenting; he organised that for us, and gave me lists of the local utility companies so that I could set up our utilities ready for moving in. Stephen also put us in touch with the a couple of people on the money side (we couldn’t buy without a mortgage) who were both excellent. We would recommend Slater Thomson Team at Intero if you need help finding a new home. Stephen guided us through the entire process from day one with sharp professionalism, answering all of our questions, taking care of us with attention every step of the way and providing precious advices and recommendations. He was patient, very efficient and helped us to find and buy our dream home after moving to the US making this whole complicated project smooth and simpler for a first time buyer. We highly recommend him. We cannot speak highly enough about the service and professionalism we received in the sale of our first home. Gail and Stephen were so efficient and organized. We sold it in the first weekend it was listed for more than we ever imagined possible! Thank you so much to the Slater-Thomson Team – we will continue to highly recommend them to our friends and family. Stephen was absolutely indispensable in navigating my first home purchase. With his help, we were able to quickly find and purchase a home well suited to our needs. The Slater Thomson team is very well integrated with every step necessary to work towards closing. From finding the right house to putting in an offer to finally closing, every step went very smoothly. Any time I had a question, it was usually answered within the hour. I cannot stress enough how helpful Stephen was, and I would highly recommend the Slater Thomson team to anyone and everyone. Stephen Slater was truly amazing in walking us through our home buying experience. He helped us refine what we wanted, narrow it down online so we didn’t waste time on houses that didn’t meet our needs and was extremely flexible working with our schedules to see the homes we wanted to. He responded quickly to email and text (our preferred methods of communication) and made the entire process as easy as possible, even giving us several referrals for work we needed done after the sale. I’d recommend him to all my friends! The Slater Thomson Team help us buying our first home. In this long process they stood on our side and gave honest opinions even if it meant not to buy this house and what for the next one to come. We would go with them any time again. We are writing to express my pleasure with real estate agent Stephen Slater, who represented us in our recent purchase of a single-family home. Stephen guided us through the entire process, from loan pre-qualification to searching for houses to making the offer and closing the deal. We credit Stephen with a smooth, stress-free home-buying experience. This is our third real estate transaction, and never had we had such a pleasurable experience. The Slater Thomson team is savvy, personable and knows the market inside and out. We never could have gotten our new home without him. To reiterate, we are nothing but pleased with Stephen Slater and his expertise and we recommend him to everyone. First real estate team that we felt really listened to what we wanted and tailored the search and final house purchase to meet our needs. Really appreciated the initial booklet detailing pros and cons of each area and what would a good fit for our family situation. House purchase process couldn’t have been made more straight forward and they were there with us beginning to end. Even after we were complete with the purchase they went above and beyond to help with all the details involved in moving home. We would have no hesitation recommending the Slater Thomson team. I needed a lot of help in prepping my home of 28 years for sale. I don’t know what I would have done without Gail and Stephen’s patience and expert guidance. Gail was especially helpful with upgrade suggestions; I think she could have a second career in interior design! I was very pleased with the offer I accepted and would not hesitate to use Slater Thomson Team again. We teamed up with Stephen on the recommendation of one of our friends that had recently purchased a home in the area, and are very happy with our choice. Stephen has a wealth of knowledge of the school systems here, which was very important to us in choosing a new location. After going through a number of houses (some really odd ones out there!) we finally found a place we could see ourselves in, and working with Stephen we were able to get our first bid. Even after we purchased the home, he would check in and make sure that everything was going well. I would absolutely recommend the Slater Thomson Team for anyone looking to move in this area. AMAZING! Think of a client that is a little all over the place and multiply that by 100… that was us. We looked at the traditional ready house, the renovation project and the from scratch land purchase project. They have extensive knowledge in ALL of those situations having done large scale home renovations themselves. They were tireless in showing us properties and explaining the possibilities. Gail and Stephen were always clear with the situation and walked us through thoroughly so everything was upfront. I can not recommend them highly enough, they are great people that offer a great service to their clients. Works to understand your needs, very considerate of your timelines and responsive to questions/ concerns. A great team to have on your side during a sometimes stressful process! Stephen Slater worked with us for several months to help us find and buy our home. We were moving from Boston and were unfamiliar with the area. As often happens, my wife and I were not always aligned either. Stephen spent a lot of time with us on the road, got to know us and our needs and likes/dislikes in depth (often better than we did), and helped steer us to the right properties. As we got to the final selection and negotiations, he was always there with great insights, helped us through our thought processes, and was an excellent negotiator. He stayed with us through the buying and settling in process, helping us a lot with local services etc., and still checks in on us months after we had closed on the house. I have worked with a lot of realtors in both the buying and selling process, and Stephen is definitely the pick of the lot. Gail and Stephen helped us tremendously through our first experience selling a home. They took care to make sure all of the details were worked out and provided a lot of knowledge regarding the what were the best options to get what we were looking for out of the sale (price, time, ease, feeling good about the process). Gail and Stephen are so wonderful to work with. They know so much about the area, and are there for you at every stage of the selling process! I highly recommend this team for your real estate needs! Gail and Stephen are amazing. My ex-husband and I recently put our house on the market. We started out with another agent. It was not a good experience for multiple reasons so we pulled it off the market. We were referred to Gail and Stephen. We couldn’t be happier. They were very kind, gentle and reassuring. They were patient with all of my questions, and understanding about my hesitations due to our last experience. They answered all of my questions quickly and thoroughly. Gail had so many great ideas about low cost improvements and staging. I trusted them completely and would use them again. I highly recommend them to anyone looking to buy or sell a house. We ended up selling the house for a lot more than we originally listed it for with the other agents, just months before. Simply put, Stephen and Gail are AWESOME! They go above and beyond at every turn. I was coming out of a VERY bad realtor experience, and they not only picked up the pieces, but created a masterpiece of my home. They spend the time to get to know my ‘selling’ style, and work with me on those terms. Personally, I didn’t want to have to make very many decisions and just wanted to trust their judgement. This was perfect for me, and they always kept me up dated on everything they were doing. The house was a complete shambles when they started and a work of art when they were done. They come up with timelines that fit my busy schedule, their assistant, Tessa, is super helpful, and they just go go go. There simply isn’t enough room here to go over all the amazing things this team did to sell my house, and keep my piece of mind. I encourage everyone that wants a tremendous buying experience to go with Stephen and Gail- they are the best! Recently, I contacted Gail and Stephen to help me get my grandmother’s home of 30+ years ready to sell. I knew they were highly qualified as they sold our home 6 years ago (in one day) and also helped us purchase the Los Gatos home we are in now. We knew grandmother’s home needed a lot of work and were frankly overwhelmed at the whole prospect of getting it ready to sell. Gail came in, assessed what could be done and made two plans – the first to sell as is, and a second one with a small investment in getting it looking fresh managed by the Slater’s team of professionals. Gail showed us a timeline that very first day of when each thing could get done, when they’d stage, make a flyer and finally on the market. My father and I decided to go with the small investment and Gail and Stephen took over from there. Gail had it painted, cleaned, carpeted and she personally upgraded all the details as well- even down to the knobs on doors and lights. She’s amazing with details, but it’s those things that made the home really look fresh. Gail was exactly right as far as time it took to do it all and we even came in UNDER budget as far as our money put into the upgrades. We listed on the day she predicted, got four offers – all much more than we ever dreamed. All told it was so easy and Stephen and Gail never missed a beat. They communicated with us wonderfully too. My dad and I cannot believe how easy they made a process we were dreading and we are grateful they helped us get the most value out of grandmother’s home. Love these guys. They work hard and are brilliant at what they do. We contacted Stephen with some general questions about a local property and after meeting with him in person, decided we were definitely ready to use him as our agent. From the beginning to the end of the process he was very professional, responsive and helpful, especially when dealing with multiple clerical errors made by our mortgage broker. We’ve used a number of agents for buying and selling properties in several cities around the US and Stephen is definitely at the top of our list. I would definitely use him again and recommend him highly. As a first time home seller, I needed to identify a realtor who was knowledgeable, professional and had the experience to guide me through the sale of my home. The Slater Thomson team fit the bill and surpassed my expectations. Stephen and Gail did an outstanding job in first understanding my needs then doing the detailed analysis needed to price and market my home. I learned quickly that determining and anticipating housing markets takes years of experience with strong analytical expertise in order to translate the data into actionable steps that would produce the desired result. The Slater Thomson team has the expertise needed to achieve the desired result. They guided me through the entire sales process beginning with ensuring my home and I were prepared and supported. Their above and beyond approach to real estate sales did result in my home showing very well with consistent high activity and interest resulting in the successful sale of my home. As an added benefit, the Slater Thomson team has established excellent resources that can help a seller actually prepare their home for today’a competitive marketplace. 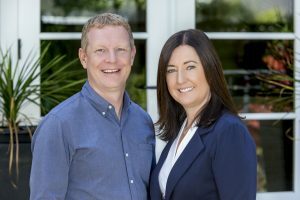 The marketing experience and expertise Stephen and Gail bring is exceptional and the marketing materials developed were first class and delivered on promoting my home to potential buyers. If you want a knowledgeable and experienced sales team that is truly exceptional and will help you successfully sell your home, these are the folks you want to partner with. I highly recommend them. As first time home buyers, we had no idea how the home buying process works and as a result were quite apprehensive about it all. Stephen came recommended to us through a family member and we are more than happy to write this recommendation for the Slater Thomson Team. Stephen is very professional and he was great in helping us understand that housing market. He helped keep us grounded especially when we saw homes that we absolutely loved and were willing to bid way over list price. He did a great job dealing with our loan officer and helping us close escrow. We would definitely recommend the Slater Thomson Team. We worked with Stephen Slater and his team when we decided to purchase a new home after relocated to the Bay Area. Stephen was highly organized, efficient, and helped us move through the home buying process fairly quickly. We felt that Stephen was caring and was able to understand our preferences. He was always proactive in identifying new listings that matched our criteria. Although we saw our share of homes, made a few offers that didn’t go our way, Stephen helped us move ahead to buy our new home in a short period. Overall, it was not at all stressful as Stephen and his team handled the entire process well. They helped us beyond the close of escrow by providing all the contacts needed in a new area to help us move in and settle quickly! It was one of the best home buying experiences we have had. Highly recommend the Slater Thomson team to other buyers with no hesitations. We relocated to California and quickly decided to target the Los Gatos area. We were given the Slater Thomson Team as a recommendation, but had no prior connection to them. We worked primarily with Stephen, but Gail was also very helpful in the end. Stephen met with us and quickly prepared us for what to expect given the uniqueness of buying into this market. He then took us through many homes quickly, easily pointing out the pluses and negatives. He was always available, making us feel that we were his only client, when clearly we were not. Stephen helped us negotiate through several offers, always with our best interest in mind. In the end, Stephen and Gail helped us buy and close on a home which is fantastic and will be a great place for us to raise our family for many years to come. They were right there with us, all the way through the closing process. If you are looking for someone who can help you navigate the home buying process, who is a contemporary agent and who really knows the market, you should go with the Slater Thomson team! They were the best team we have worked with in all of our six home purchases. We highly recommend the Slater Team for home buying. Stephen helped us get into our dream home. He listened to our requirements and didn’t waste time by bringing us things that did not meet them. He is effective, efficient, personable and honest. 5 Stars! He made the process painless & smooth. Thank you for helping us find our home! All in all this is a great team: methodical, attentive, courteous, honest and trustworthy and will close the deal on time. Highly recommended and the next time we have to buy or sell I will go back to Stephen. We were first time buyers and pretty nervous about the whole home buying process. Especially due to the competitive nature of the market in the SF Bay Area. Initially we started going to open houses by ourselves but were a little bit clueless about what to look for and what were our likes and dislikes. At this point we approached Stephen Slater, who was highly recommended to us by two colleagues at my work place. This made it an easy decision to approach him. A phone call later (which was very courteous and made us feel at ease) we already had a meeting scheduled on the upcoming Sunday in his Los Gatos Office. We spent an hour talking where he took us step by step through the entire process and answered all our concerns. Best of all he there was no need for contracts. At the end of it he gave us home work questionnaire which helped us define what our requirements were. Stephen went with us to quite a few open houses and gave honest opinions about the location, condition and worth of the houses. Never pushed us into anything but gave all the facts to help us make the decisions. For the home we eventually ended up buying, we were not the highest bidders. That was in part due to his reputation, working style and because he had a good rapport with the loan officer, escrow company, as well as the sellers agent. He would give status updates from time to time as the process progressed. There is a lot of stuff that went on in the background which made everything go very smoothly and we closed exactly on the day that we promised. Even after closing there was still a lot of follow up stuff that Stephen and his team helped us out with. Thanks Stephen! Stephen and team are amazing! We bought a house with them last year, and despite being outbid a few times (crazy Silicon Valley market!! ), I could not have been happier with their service. Stephen is helpful, knowledgeable, courteous, patient, and has a great sense of humor (not to mention a fabulous accent!). I always felt confident in our offers, and it was ultimately his rapport with the seller’s agent that got us our house. I never felt like he was giving us BS, and I always knew he had our best interests at heart. The entire process went as smoothly as possible (given the crazy market and my having a baby in the middle of our search). Stephen’s team is always on it, and you can tell they’ve got a good system that works. It was the little touches that really won us over. Could not have been happier working with Stephen and team, and I would HIGHLY recommend working with them. Stephen is a great realtor and really helped us find the home of our dream in Los gatos! This is our third home so we were quite familiar with the process and were looking for an agent who knows the area well, negotiates aggressively, and has a good rapport with other agents. Stephen proved to be that and much more. He helped us patiently show homes for close to a year and helped us land the right one. We love data being in the tech field and Stephen always provided the insights and data we would need to make the right decision. My husband and I would absolutely recommend him and the team! Stephen rocks!! We worked with Stephen to purchase a home outside of his usual territory. Despite the challenge of a different market, Stephen helped us through assessment of numerous neighborhoods/homes and a challenging close process. In this extremely competitive environment, I wouldn’t recommend trying to purchase a home without an experienced and thoughtful agent such as Stephen Slater. We selected the Slater Thomson team to list our home after interviewing numerous agents with high ratings on Zillow. They were able to respond to the quick time table requested including providing cleaners, inspectors, and stagers while working around our schedule and other requirements. We believe they did a good job helping us get top dollar for our home. We can’t recommend the Slater Thomson Team enough. With all the online tools (Zillow, Trulia, MLS listings), finding the house you want when it comes on the market is relatively easy – closing the deal is the hard part. When we decided to buy our home in California our first priority was to find a realtor that could help us navigate the market and get what we wanted when we found it. Stephen and Gail had a very systematic approach starting with a sit-down to review the market, set expectations, and get the basics about what we were looking for. Then they sent us off with homework – a questionnaire we each filled out separately on what was important (and not important) to each of us. This turned out to be a huge confidence booster when we finally found what we were looking for – we could look down that list of must haves, wants and don’t cares we wrote down a few months before and know that we weren’t just reacting in the heat of the moment as well as making it easy for them not to waste our time with properties that didn’t meet our criteria. This was just one of the many details that separated this from our past experiences with realtors. When we did find the place we ultimately bought we were working on a very short schedule and the Slater Thomson team guided us through the offer process, counter offers, and negotiations and once our offer was approved systematically expedited everything from inspections to appraisals. We are absolutely convinced the attention to detail they provided made the difference in us getting the house we wanted. Stephen was always ready to answer any questions we had as first time home buyers. We had a really bad experience with our first realtor and when we switched to Stephen we could really see a world of difference. He advised us all the way through the house buying process. All the hard stuff he took care of in the background making it so easy for us. But the best part was he and his team did not abandon us after we got the house. They are still always advising and helping us with our needs for painter, roof guys, contractors, etc. Tessa from the Slater Thomson team has been great help as well. She was the one who helped us through setting up appointments with the painter, handyman, etc, along with advising if the quotes are reasonable…she is amazing and super responsive. In short, the whole team is the best, we would recommend them to all our friends and also will go them first in our future house dealings. I had great experience working with Stephen as my buying agent. He can quickly pick your needs and interests and help you find what you are looking for. He is not one of those pushy agents; he is very patient and detail-oriented. He walks you through the pros and cons and helps you make the right decision. Once we were in contract, Stephen and his assistant Tessa did great job following up with different parties. They truly exceeded expectations. When working with the Slater Thomson team, you don’t need to worry; they will take care of it. Stephen and Gail were a great fit for us because they are outcome driven. They are very well connected, data driven, and market savvy, but also took us through the buying journey in a personalized way, helping to balance the emotion of the process with clarity and practicality. Stephen willingly gave us advice and insights on a range of questions for months before we decided to buy, and he always picks up the phone. Gail has a unique sense and eye for the potential of a property, from both a design/living and an investment perspective. We have a house that works for everyone in our family and are very happy – a great outcome! This is the fourth time we’ve worked with Stephen and Gail. We purchased 2 houses and sold 2 houses with them. On both the buying and selling side they have been terrific. They have a great sense of where the market is trending and helped us price and present both houses that we sold in a way that got a maximum return and that sold quickly. I firmly believe we would not have sold these houses as quickly nor would we have gotten the same sorts of returns if we have not used Gail and Stephen as our agents. If I ever buy or sell another property, I would not hesitate to use them again. Gail and Stephen have helped us on both the buying and selling sides of real estate, when we needed to sell our house to move 4 years ago they got a great price very quickly in what was not a very good market for sellers at the time. I had never seen the house look so good. They did such a good job on staging and marketing it we were tempted to stay put. More recently, last year, they helped us find a condo as an investment for our daughters here in Santa Cruz. They spent a lot of time with us, not just looking at houses but throughout the whole process, right up to holding our hands through the offers, signing and title marathons. It is a very personal service and they put a lot of effort in on touches that I haven’t seen anyone else do as well as the hard business side and helping you make the best decisions. They really know what they are doing and we made better decisions by listening to their ideas. Stephen acted as our Realtor helping us buy our house in Los Gatos. We had just moved over from the UK and the whole process had seemed daunting. However it was very smooth, Stephen was very knowledgable about the local area and made the process (which we had expected to be difficult or impossible in our time frame) painless. The Slater Thomson Team is VERY knowledgeable, they made the whole sale process easy, and they were very efficient. We were very impressed with how they worked together to sell our condo. They answered all our questions and within a timeline that worked for us. We’d recommend them highly! Stephen and his wife Gail are the Amazing Realtor Duo. They did such a fabulous job helping us to buy our dream home in Santa Cruz and sell our then-existing home in Silicon Valley in 2010; so when it was time to consider buying an additional house as a rental in 2013, we asked them to help us again. The first time they were our selling and buying agents. Seriously we gave them the keys to our old house and they sold it within 18 days at the height of the recession. They literally took care of everything from interior painting, a few repairs and staging and they did everything. It looked amazing. There was no extra cost either, just a part of the wonderful service. Trust and believe in them, their results speak louder than words. So returning this time to ask for their help to buy a rental was a foregone conclusion. From their sage advice, to their knowledge of the market, their professionalism to their above and way beyond can do attitudes, they made it happen. They are with you every step of the way thorough with the inspections, paperwork, they leave nothing out. Stephen and Gail are very friendly and have lot of knowledge in real estate. We were first-time home buyers and Stephen helped us in streamlining our requirements. During our visits to various open houses, Stephen was very helpful in finding the issues which were not easily visible. Stephen is the kind of person who is not at all pushy and understand the importance of buyers’ minute details. We had seen many open houses and Stephen was very patient in showing all the houses and explaining the pros and cons of each one. We would highly recommend Stephen for anybody looking to find their dream home. My family and I relocated from Italy to Los Gatos this summer for business reasons. Stephen took care of us throughout our relocation process, including finding a temporary apartment while we worked together to find a property to buy. After finding the right target he helped us to quickly place a successful offer. We sailed through the complex closing process in a very smooth way, thanks to Stephen’s excellent network of property inspectors and good relationships with the mortgage lender as well as the listing agent. I highly recommend working with Stephen! We just closed on our new house in Los Gatos, CA. We relocated to Silicon Valley from Illinois and we could not have done it without Stephen and Gail. They are not just the perfect real estate team, making the process smooth, transparent, and seamless, but they constantly go the extra mile. Gail and Stephen helped us buy our home in Los Gatos. We worked predominantly with Stephen; he was critical in every step of the buying process as we were unfamiliar with the local market. He was professional and worked long hours to close our deal. While most of our work was with Stephen, it was Gail who steered our family to choosing the right home to purchase. I would highly recommend both Gail and Stephen. Gail and Stephen made a very detailed presentation of their services in a professionally laid out proposal. This included staging the property, setting up an open house, they even set up a website presenting our home in a very positive manner. They sold our home at a great price and quickly. Stephen and Gail helped us buy a home in Los Gatos and we were very impressed with everything they did for us, from start to finish. We always felt comfortable calling with questions or for advice, and Stephen and Gail were always available to show us a property. They even met us over a holiday weekend to let us into the house to see it again before making a decision on an offer. We are certain that our offer was accepted due to Stephen’s incredible negotiation skills; he formed a great relationship with the selling agent which allowed us to increase our initial offer and win the bid. Once we were in escrow pretty much everything was taken care of for us and we just had to sign the papers at the end. Their services are very comprehensive and they have a wealth of experience and knowledge. They put us in touch with a fantastic mortgage broker and contractors, organized tenting and were even on hand to offer interior designing tips! If we ever decide to move, we won’t hesitate to contact Stephen and Gail. Gail helped my mother sell her house in Los Gatos that she had been in for over 40 years. It was very difficult for my mom and Gail was there for her all the way. She arranged things so as to be the least traumatic for mom and found her some excellent buyers before the house was even listed. She supported my mother through the whole process and got my mother excellent pricing and terms. I wholeheartedly recommend her. Stephen is a professional; knolwedgeable about the market, he is a saavy and effective negotiator. He brought a sense of urgency that was critical to our transaction. His team did not miss a beat and provided able support during our escrow. As experienced buyers in a challenging environment, Stephen’s expertise helped us find and fund the purchase of our new home without a single hitch. If you are looking for a GREAT Real Estate Team who will happily go the extra ten miles for you, do not hesitate to contact Stephen Slater and Gail Thomson! We would expect any Real Estate Agent to find us a house; what we would not expect is all of the extra help Stephen and Gail gave us and continue to give us, even two months after buying our new home. We were completely new to Northern California when we began our house search, and Stephen and Gail have been FUNDAMENTAL in EVERY aspect of us settling into our new lives. They have recommended schools and doctors, cleaners and gardeners. They have suggested restaurants to eat at and places to visit on the weekends. They have scheduled repairmen, carpet installers, roofing experts and flooring refinishers. A few weeks ago they invited us to a party to give us the opportunity to meet new friends and just today they were able to magic up a last minute babysitter! They have definitely exceeded all of our expectations every single step of the way. Stephen has impressed us with his professionalism since our first meeting. His extensive local knowledge coupled with his ability to listen attentively to our needs and wishes meant that we were able to pinpoint areas of interest before we even arrived in CA. We have always been awed with how quickly he responds to emails, regardless of what time of day or night they are sent. However, it was his willingness to keep an eye our three children during the house hunting process that really set him apart from other agents. Without this invaluable help, finding a home would have been considerably more challenging! As testament to Stephen’s easy nature, our youngest child actually began to think of him as an extension of our family during our house search! We are not strangers to the real estate business, having lived in ten houses in the past ten years and Stephen and Gail are by far the BEST Real Estate Agents we have ever had the pleasure of working with. I know you will enjoy working with them too! Stephen and Gail were so helpful during our extensive search for a home in San Jose. They are very knowledgeable about area and the school districts. If I had a question or wanted to see a listing they were always available. They helped us find the perfect home for our family! The best advice I am can give you is to STOP your Realtor search and hire them today! Stephen & Gail were instrumental in the purchase of our Almaden home this summer. We set out with a geographically broad target area, and the couple’s extensive local knowledge helped us focus on advantages & disadvantages of each considered neighborhood. The market was very active during our search for the perfect home, and Stephen & Gail were available at any time of day or night, whether to answer our questions or to put together complete offer packages; it made a significant difference and rendered the process as stress free as possible. The most enjoyable part of working with Stephen & Gail was that they managed to provide continuous support without ever pressuring or rushing us; they were simply there for us whenever we needed them, providing all the rational details for our consideration, but leaving the final decision to us. We strongly recommend them to anyone on the market, whether buying or selling. Our experience with Stephen has been extremely positive. At the time we were looking to buy a house in the Los Gatos area the housing market was very active. Many houses that were put on the market were being sold almost immediately. We placed offers on multiple houses, but lost out to competing offers on each. Luckily, Stephen was able to find the perfect house for our family because of his deep knowledge of the local market. It was a house that was previously listed for sale but had been taken off the market. Stephen and the seller’s realtor were able to quickly come to an agreement on the terms of the house. Stephen coordinated and was present at the house for all the inspections. Several times since moving into the house, I have needed local information or recommendations about contractors and have turned to Stephen. His advice has turned out to be outstanding every time. I wish there were more than 5 stars to describe my experience with Stephen and Gail. I was blown away by the professional presentation they gave us describing how they planned to market our home, as well as all of the extras they provide. I had been concerned about how much work would be involved in getting our home ready to sell, but the Slater/Thompson team made it so easy. I can’t believe I used the word easy in describing the sale of our home, but it’s true! Thanks to Stephen and Gail, we were able to sell our home and buy another one in less than three weeks! If you need real estate professionals, Gail and Stephen are the best! We met Stephen through a recommendation from one of our friends who bought his home using Stephen’s services. He mentioned that he couldn’t have expected more and we readily second his opinion. Stephen helped us find our home in Cupertino during the peak spring buying season. We were expecting the buying process to be long drawn, spanning months if not years, and expecting to be outbid numerous times before winning. In the end though, within eight weeks of working with Stephen and after only four bids, we made an successful offer on our home. On three out of the four bids we were approached by the listing agent with counter offers which we declined on our terms. Stephen let us take our time to warm up to the buying process, sprinkling us with wisdom and subtly guiding us to refining our requirements. He talked us out of some of the homes we liked, which in retrospect was the perfect move. Stephen was incredibly patient and took us to look at the same homes multiple times until we were satisfied. He was never out of reach, no matter what time of the day it was. He responded to calls and emails within minutes. Before putting a bid he made sure that we understood the disclosures and condition of the homes precisely, going over the disclosure in great detail (despite our protests). Stephen personally submitted the bids to the seller instead of simply emailing them-little things that can make a big difference. When our loan process unexpectedly ran into problems, Stephen managed the process with thorough professionalism-keeping the seller up to date and assured, pushing the lenders for a speedy closure, and making sure we were one step ahead of the process. After the closing, Stephen set up the fumigation services for us and followed up to make sure we settled down smoothly. We would very strongly recommend Stephen and Gail for all real estate related services! In the last year I’ve worked with three different realtors and interviewed dozens more. Stephen is, without question, the best realtor I’ve worked with. We were high maintenance customers, who wanted to look at dozens, if not hundreds, of properties. Stephen got to know exactly what we liked and did an amazing job negotiating price, finding good deals, and keeping us in the loop. His follow through is what really impressed us. Even after we had bought the house and were happily settled, he got rid of the items we didn’t want on craigslist, found us a gardener, got us a housecleaner to come and clean up the house, etc… And he didn’t charge us for any of these extra services. His wife Gail Thomson is also a realtor, with an expertise in comps and numbers. They make a great team. Whenever he couldn’t help us, she usually could. So, if you work with Stephen you really get two realtors helping you out, not just one. So, in short, I would recommend him to anyone. He is a great guy, fun to work with, lives in the area and knows every piece of Los Gatos intimately well. It was great to have Gail and Stephen with us as we went through the process of finding our new home. We were really looking for convenience in the experience without sacrificing value and that is exactly what Gail and Stephen provided. Our house hunts were tailored to our schedules and we found just what we were looking for. But I think that’s where the service got even better. They were quick to process everything (again working within our schedules), knew great recommendations for inspectors, and did all the heavy lifting in the process. We love our new home and are so happy with how smooth the whole process went. Stephen Slater is the most amazing Real Estate Agent. He is honest, upfront, hard working, AND he got us the house we wanted! He possesses a thorough knowledge of all the South Bay towns and went over and beyond to help us find the right fit. Gail provides an excellent service – intuitive, caring, reliable, knowledgeable, dependable. We heartily recommend Gail as a Realtor and will use her services again. Gail was a life saver! We had been looking for ages, my husband doing most of the vetting, until we met Gail and she completely understood what we needed – a cross between a dream home (out of our price range) and a good investment (usually no romance there). Now we’re the proud owners of a lovely old rambling Victorian in downtown San Jose – and with minimum fuss and MAXIMUM service we moved in really quickly. A totally smooth, calm, professional and very personal experience. I recommend Gail with no reservations. We bought a house in August and had to quickly sell another. Stephen was fantastic. Not only did he and his wife Gail represent us as buyers, they also helped us sell our home fast. His real-estate knowledge and wonderful service was incomparable. My friends couldn’t believe the wonderful job they did selling our house. They knew what we needed to do and also staged the home – amazing is how it looked. This was not extra, just part of the wonderful service provided. Stephen was also wonderfully thorough with the inspections, paperwork, being there for all of that and leaving no detail out. He went out of the way to accommodate us and come to us. Due to all their hard work our home sold in 2 days during the holiday season, which is not easy. Our neighbors from the new and old places all wanted their cards since they saw what good care they took selling and talking care of the homes. If you go with Stephen and Gail you will be very happy. We were. I don’t hesitate to give Stephen’s name out to anyone looking for a great realtor. Stephen is professional, hard working, trustworthy, and has an eye for detail. My house in Morgan Hill would never have looked so good or sold so quickly if Stephen hadn’t gone above and beyond for me. Thanks so much for all your hard work, Stephen! A ‘relo package’ is great, but we did feel like we were losing control and things were moving very quickly. We had to check out a number of realtors and chose Gail because we knew she would put our needs first in the process. Gail knew the area, but also looked at the other comparable properties and adjusted to put the best light on our house. She worked directly with the Relo company, keeping it simple for us, and worked to keep us in the loop at all times – we actually decided on the buyer while vacationing in the UK. The end result exceeded our expectations as sellers, and greatly exceeded the kind of numbers we were told to expect by other, Relo company endorsed, realtors. I wholeheartedly recommend Gail. Gail sold my Morgan Hill house in June of 2010. Money was tight and time was of the essence, but Gail went above and beyond for me. She told me exactly what we needed to do to sell my house as quickly as possible and at the price I needed (to avoid a short sale). She made my house look AMAZING for showing and all her hard work paid off as the house sold in record time. Gail was in constant contact with me through every step. I have recommended her to anyone looking for a realtor in the Bay Area as she is one of the most straightforward, knowledgeable, and thorough realtors I’ve worked with. Not only did Gail do a great job finding us our new house, even more critically, she got our old house sold within 26 day of listing. This happened in a seriously down market and only because we listened and did every single thing Gail told us to do. All her advice on staging, pricing, what to change before putting it on the market and all the while keeping us within the limited budget we had, all worked great and we got exactly what we wanted for the house! Gail has a great sense of presentation and design which we also listened to when we were looking at improvements to the new house we had just bought. For both the buying and selling, Gail was in constant communication with us and shepherding us through all the financial, legal and process complications along the way to closing as well as being very hands-on supervising contractors and doing vital touches herself. It was a great experience which went remarkably quickly and smoothly entirely due to Gail’s attention to detail, professionalism and competence. My wife and I would highly recommend her!